Integrative Wellness Center is a dream come true for Dr. Mareeni Stanislaus. Her vision was to open a state-of-the-art women's health facility in San Luis Obispo County, one that reflects her vision of cutting-edge technology delivered in an atmosphere of safety, privacy and comfort. Her practice focuses on the whole woman and getting to the root cause of her issues rather than masking her symptoms. Hear Dr. Stanislaus talk about her holistic approach. 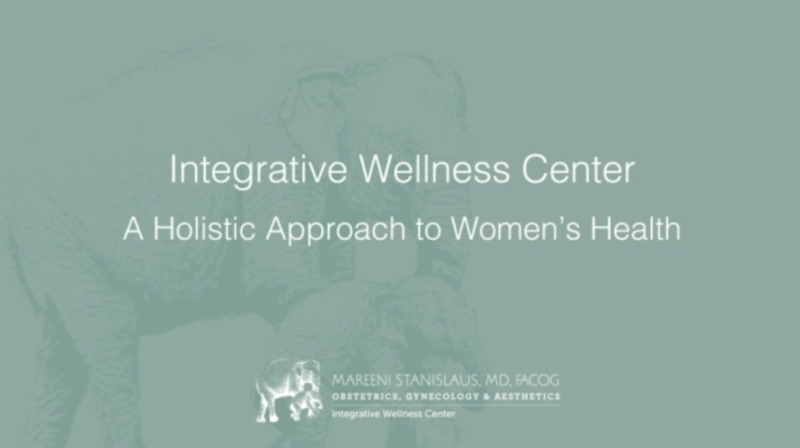 My inspiration for opening the Integrative Wellness Center was to open a state-of-the-art women's health facility in San Luis Obispo County, one that reflects my vision of cutting-edge technology delivered in an atmosphere of safety, privacy and comfort. 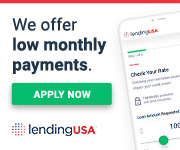 I've lived in San Luis Obispo County for more than 20 years now and have grown to respect and enjoy the people of this community very deeply and wanted to serve them in the best way that I possibly could. I designed my practice to support my philosophy of holistic healthcare for women. I wanted women to be comfortable and to be able to find care in all stages of life, starting with their very first gynecologic exam, leading to their move away from home and going away from the nest to their first experience with pregnancy, having a child. I hired experienced OB health advocates to help with medical issues surrounding childbirth, including mental health issues and breastfeeding. I support the general health exam that follows issues of middle-age. It's important to encourage healthcare access for screening tests, such as mammograms and colonoscopies. I encourage exercise and weight management, and we offer weight management through the clinic as well. Menopause is such a difficult time for so many women, one that...a time that we didn't discuss with our mothers on so many occasions. I have tremendous experience with hormone replacement therapies and treating the various intimate issues that happen at the time of menopause. These days, there has been so much in the news about the dangers of hormone therapy and replacement, and in this practice, with the innovative lasers and radio-frequency technologies we've brought in, I'm able to offer alternatives to hormone therapy as well. In addition to that, confidence is such an important part of a woman's experience and presentation to the world, and the advanced skin care techniques that we offer, including injectable therapies and hybrid fractional laser therapies and radio-frequency technology to address skin sagging and wrinkles and frown lines, things that affect our confidence as we age. I'm so excited to be able to bring this all together in one safe, comfortable place. I think it's very important to empower women to understand the root causes of their illness rather than just masking symptoms. That helps them to become well and understanding all of the factors that play into their individual illness and situation helps make a better diagnosis and a better treatment plan, understanding her home situation, understanding her other musculoskeletal issues, and bringing other healthcare professionals together to be able to help treat illness and promote wellness.